Things are winding down in University Land. I am glad to see the semester end, because there are other projects to work on. But I am having a difficult time letting go of my seminar,Drawing Conclusions: Illustration, Visual Journalism and the History of the Press. I say so for several reasons: 1) the course has represented a learning experience for all of us, especially me; this is an area of intense interest to me that I entered through a side door, as a practitioner, and the thinker/critic in me cannot get enough; 2) I have found fascinating new (to me) material in the history of photography-as-communication, including Errol Morris' new book,Believing is Seeing (2011), uneasy cominglings of photography and illustration in the second half of the 19th century, and the ghastly fun of the 1920s-50s tabloid photographers; 3) the student projects to grow out of the course can only go so far in the allotted time, and I'm excited by them; 4) a deeply significant tension between history and poetry–between Herodotus and Aristotle–is in play, but I worry not enough from the student point of view; and 5) finally, I fret that key issues raised by the material may not have been adequately articulated. It's number 5 that has me writing this post. I know enough to recognize that what matters are the lingering questions, not the answers. Thus I want to know: what questions will students take with them as they wander through these issues later, as citizens and professionals? Context and Recap. By any standard, what we call “the press” is a recent development. Ancient governments issued written decrees or published notes from the court. But self-serving official pronouncements did not anticipate modern news. Handwritten news sheets called gazetteappeared in sixteenth century Venice bearing news of war, politics and trade. 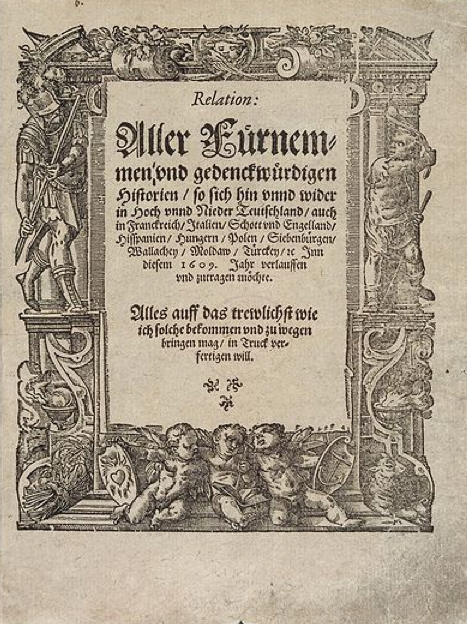 These prefigured the timely, serially-published modern newspaper, which first appeared in Germany during the early seventeenth century. Such publications (generally, weeklies) were fueled by expanding literacy, emerging markets and innovations in typesetting and printing. Suspicious local governments regulated papers heavily; thus, most reported news from abroad, not home. The institution of the press–the counterweight to the State and commercial power often called “the fourth estate”–began to evolve in Britain, particularly, during the period of the English Civil War in the 1640s and 50s. Local reporting and editorializing gained a foothold. Despite later setbacks, an empowered English press proved durable. Those traditions were exported to American colonies. The American newspaper becomes recognizable to a modern reader with the advent of the penny press in the 1830s and 40s, so named because it undercut the price of six-penny papers. Michael Schudson writes in Discovering the News: A Social History of American Newspapers(1978) that "The penny press invented the modern concept of 'news.' For the first time the American newspaper made it a regular practice to print political news, not just foreign but domestic, and not just national but local; for the first time it printed reports from the police, from the courts, from the streets, and from private households. One might say that, for the first time, the newspaper reflected not just commerce or politics but social life." Also from Schudson: "The penny papers made their way in the world by seeking larger circulation and the advertising it attracted... Advertising... took on a more democratic cast." The significance of advertising was not limited to its economic effect on the newspaper business. It represented a different form of content. 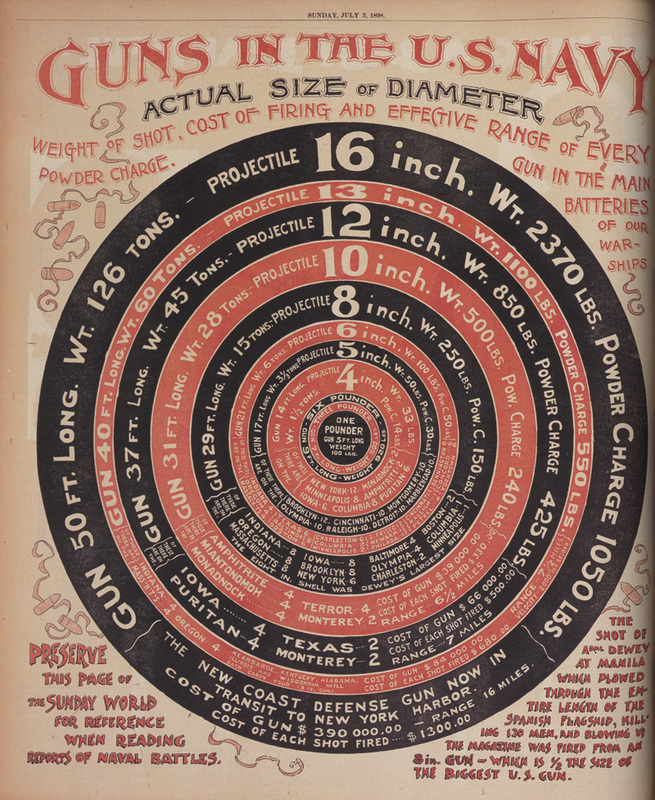 James Gordon Bennett (the godfather of the penny press and the founder of the New York Herald) limited its presentation to dense typesetting. Subsequently, the inclusion of cuts (small illustrations) and display type (large headline elements) would increase the effectiveness of ads, creating more demand for visual interest on the page. Notably, from the middle of the 19th century on, most innovations in newspapering–at least those that sold more papers–would grow out of design practices, not editorial ones: dynamic contrast of scale in typesetting and variable optical value; the growing use of illustration, cartoons and photography; new platemaking techniques; and the advent of color printing and the illustrated Sunday Supplement. The technical innovation of wood engraving, credited to English engraver Thomas Bewicke (circa 1795; at almost exactly the same moment as Senefelder developed lithography with Bavarian limestones and grease pencils) enabled industrial image production in Europe, then the United States. The London Illustrated News began publication in 1842; Harpers' Weekly debuted in 1857. For a sketch of relevant information in printing history, consult an earlier post, Notes on Platemaking and Printing. The relationship between "the special artist," the bullpen guy back at the shop who refined the drawing, and the engraving team is a fascinating one. It is a mistake to think of the onsite person as the total, true source, insofar as the pencil sketch leaves a great deal out that others must fill in. People are not cameras; they do not record mechanically. Fashioned pictures aremade things. What does a pencil sketch provide that a more finished work by the same person does not, and vice versa? As somebody who works onsite, I can say that patterns of emphasis show up in sketches that are sometimes flattened out by subsequent work, producing both gains and losses. As noted, we've explored the Civil War battle of Antietam (Sharpsburg, for Southerners) as a pivot point in the history of illustration, photography, and representations of war. Alfred Waud was there (above), but the lasting images of Antietam were those made by Alexander Gardner, working for Matthew Brady. Note: the tiny little house form you see in the upper right corner of the Waud is the whitewashed Dunker Church that serves as a backdrop to the Confederate dead in the famous photograph below. Below, a long citation from John Nerone's excellent essay, "Newswork, technology and cultural form, 1837-1920" that speaks to the extended transition from news illustration to photojournalism. The integration of photography into newsgathering and reporting moved crabwise for half a century and more. One version of this history has it that photography's adoption was hampered technologically. Simply put, a technological barrier existed in the printing of photographs on the same page with text. This account is sort of true. Early on techniques were developed for printing photographs alone–hence the popularity of cartes de visite even before the Civil War. It was difficult to do the same thing in a newspaper. Instead, to reproduce photographs, it was necessary to engrave them onto wood or some other medium. The illustrated press that resulted strikes present-day readers as stilted and immature–photojournalism waiting to be born. But on closer inspection it is clear that this is not the story. The illustrated news aimed to do a different task than photojournalism. The photos that a photojournalist publishes are meant to provide a trace of an event. The illustrated news was meant to provide a virtual presence. The theory was that the visual memory provided by a good news illustration would be similar or identical to the visual memory that one would have acquired by being present at an event. The illustrated news was also a form of report. A good news illustration was the result of a complicated process of gathering visual elements through sketches and other methods of visual recording, including photography, and composing them into a master record. Some of the resulting illustrations were complex works of visual reporting, compressing time and space and offering commentary and contextualization. The final description captures the process that any contemporary illustrator uses to describe events or processes in a nonfictional context. I recommend the essay to anyone interested in the topic. (Anthologized in Explorations in Communication and History, edited by Barbie Zelizer; Routlege, 2008.) Nerone isolates the practices and ideologies associated with correspondents versus reporters, and assigns those roles to illustrators versus photographers in the early days of photographic newswork. We chewed on those issues in class, and considered the correspondent/reporter question across a number of media. We were graciously entertained by curator Philip Hu at the St. Louis Art Museum, who showed us a breathtaking collection of Japanese war prints, a fascinating blend of journalism, propaganda and a beautiful print tradition. 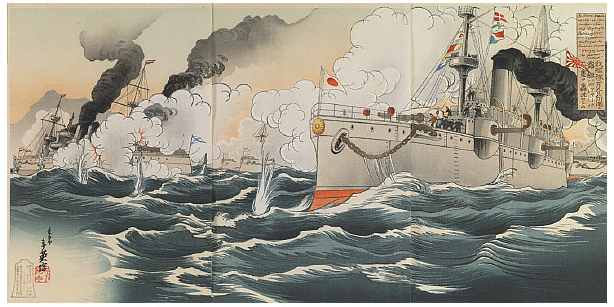 These prints were produced for a voracious public, eager to learn of Japan's exploits in the Sino-Japanese War (1894-95) and the Russo-Japanese War (1904-05). Charles Louwenhaupt, a St. Louis collector, had built an extraordinary collection of these prints before graciously donating them to the museum. Philip Hu has begun work on organizing a major show of these prints for several years from now. Can't wait. Jacob Riis commanded our attention as the pioneering muckraking author/photographer in his 1890 book How the Other Half Lives. Riis published many books, but his work was grounded in newspapering. He used photography as a reporting tool, not an aesthetic one. His work exposing the realities of tenement life in New York (which he himself had experienced) changed the role of photography in reporting work, even as he disappeared from photographic history until after World War Two. We also explored the ghoulish photographic bonanza that was tabloid journalism in the 1920s through the 1950s, the inheritor of the tradition of the illustrated press. (The New York Daily News began life in 1919 as the New York Daily Illustrated News, but the second modifier fell away quickly.) Above, the scandalous cover showing the electrocution of Ruth Snyder, the real-life inspiration for The Postman Always Rings Twice and Double Indemnity. The photographer Tom Howard snuck a camera in taped to his leg, and pulled up his trouser at the critical moment to take the shot. Finally, our work addressed some of the writers and illustrators of the New Journalism, described in more detail here, and also explored contemporary variants in reportage illustration. The tradition is coming back, abetted by the low cost of production and distribution in the online era. The Lynn Pauley illustration below brings us back to questions about reporters and correspondents. Pure objectivity is impossible. Pure subjectivity is incomprehensible. What do we want from this kind of news? What can we know, and how much should we feel?